A business can have varying secondary goals some of which may include boosting awareness of a particular product in an innovative sense or to facilitate a specific area of people’s lives by providing a useful service. E-commerce has done tremendously in this zone. Especially if those are Optimize Ecommerce Website. However, the ultimate goal is and should always be focused on making the business strive within its capacity so it can continue to pursue those secondary objectives. Such an understanding brings us back to the basics: driving sales, paying attention to click through and conversion rates and boosting those numbers by employing an effective optimization strategy. An increased CRO has an immediate cause-and-effect cycle whereby a good trustworthy relationship among the consumers and a convenient customer experience will boost CRO. This will translate into an optimum ROI and will help in terms of scalability and performance. It will also help the business understand the purchase pattern better for sustained and continuous success. This is exactly why we have compiled a list of the best practices implemented via the digital landscape to help convert visitors into consumers in the quickest and most effective way possible. 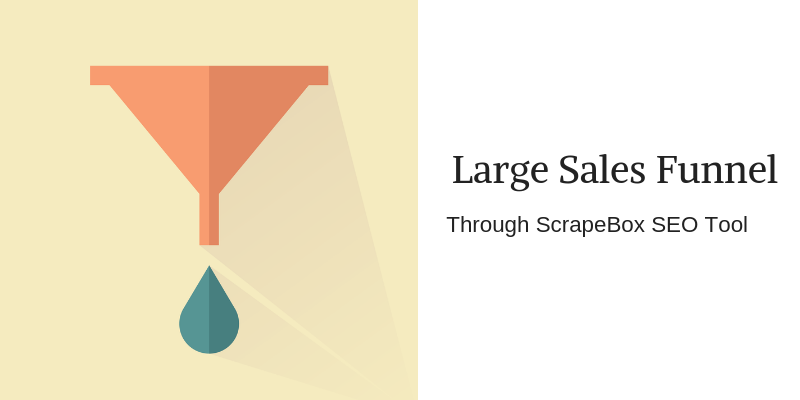 This method is the holy grail of CRO which will directly impact how you will articulate marketing strategies and how you target segmented groups within the intended target audience. Furthermore, it will help you reconsider the UX design choices of your e-commerce platform. Your team will have to evaluate user data including purchase patterns, time duration spent and the locale of the audience. 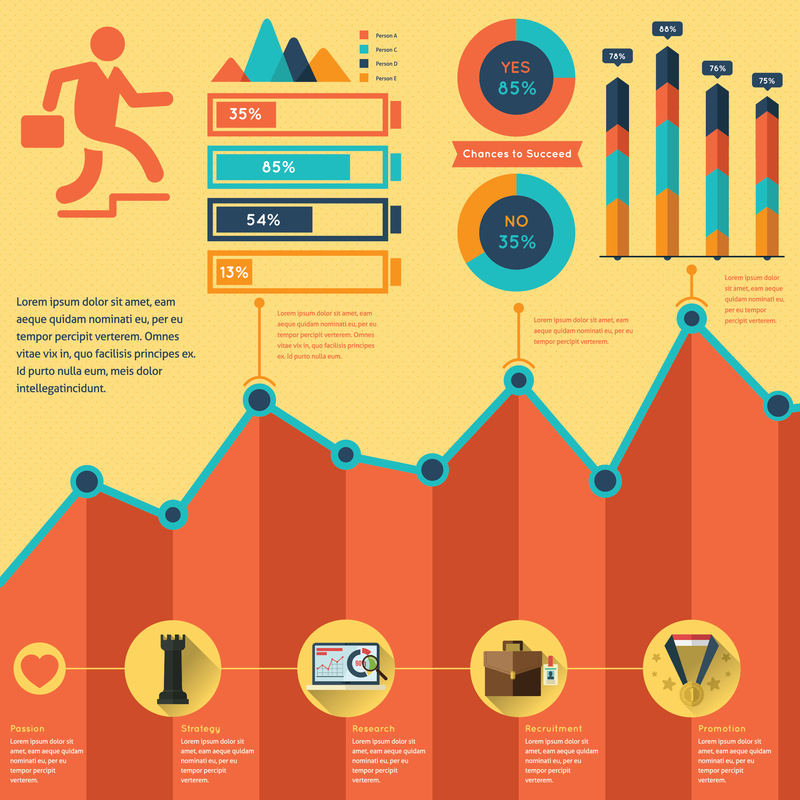 These are all excellent metrics for your business to delve deeper into. In Adition, by understanding user behavior, popular categories of products can be highlighted and so can the demographics including age, race, social and marital status, and gender. Understanding the demographics will allow your marketing team to prioritize their efforts appropriately in lieu of only promoting products that will be suitable for the particular individual, thus capitalizing on any opportunity of boosting CRO. Open source services provided by Google including Search Console, Google Analytics and even Google Trends will work as excellent sources of analyzing user statistics and improving upon them. Facebook isn’t behind in the race either, with its Audience Insight tool that covers aspects such as user’s lifestyles. Gaining access to this data will help you understand your competitor’s strength and weaknesses as well. it’s also a great strategy to ask the users about certain things directly. The best way to do this is by surveys, polls, forms or a mini-questionnaire focused around feedback via emails. In such a case, it is very important to keep questions short and straightforward. There are also several other tools including Optimizely, Crazy Egg and services dealing exclusively with the Amazon Platform including Viral Launch and Jungle Scout. These tools allow developers and business owners to address shortcomings and invest in the most lucrative options by comprehension of user-based data. When using such tools, it is recommended to look at aspects such as the heat map as this will provide you with substantial information about where users like to spend most of their time or the particular section which attracts the most attention of users. Additionally, A/B testing or split testing will allow you to demo two versions of the same page and then pick out a winner in terms of success among the visitor if you’re not sure of which variant to run with. This testing method allows you to test two variants of your Optimize Ecommerce Website to determine which version will provide the best results. Guiding viewers through the purchase cycle is not an easy task as there are many different aspects which may deter your users throughout the purchase cycle. This is exactly why it is imperative that you focus on the design and layout of your website to ensure seamless convenience for your users and making it Optimize Ecommerce Website. It is thus recommended to keep all menus and elements of navigation on your website as intuitive as possible. Since your homepage will be the first impression for first-time visitors, consider using high-resolution striking and appealing product photos, this will help your viewers understand what you have to offer. Furthermore, if you focus on the design and layout of product pages, your business can take advantage of a plethora of different benefits. A minimalist user interface design with clear and defined sections for navigation will ensure that your viewers can gain information about your business without any hassle. Additionally, consider using CTAs to help guide your users by eliciting an action or response out of them. Strong CTAs will always be clear and simple, with minimal text and prominent colors and sufficient size so they are always visible. Instead of telling your users in plain words to head to a particular page on the web, use pointers like ‘Proceed to check-out’ or even an icon that depicts a shopping bag. The most effective shape for CTAs remains rectangular ones with round edges so they don’t appear ‘sharp’ to the eye and reflect a much softer approach. All of the information present on the purchase page or subscription landing page should be explicit and clear as possible for a better Optimize Ecommerce Website. This means that the confirmation or receipt for purchases should be definitive without any hidden costs like shipping charges not being communicated to the customer until later. The last thing you will want is to frustrate users out of a deal because of bad design choices in the check-out section or draw them away due to a confusing landing page which is a taboo for Optimize Ecommerce Website. Thus, in lieu of removing any sorts of hurdles for users, extra steps have to be taken. A good example includes establishing uniformity throughout the web design or UI. Mobile platforms contribute a fair share to any online purchases made. In fact, around 79% of smartphone users confirmed their purchases on mobile devices in the last six months as of December 2018 and about 40% sales from e-commerce platforms during the holiday season were carried out via a smartphone. Keeping these important statistics in mind, it is essential to optimize all websites for mobile devices so they run as fluidly as they do on desktop channels without any compromise to quality or functionality. Usually, when making the transition from the desktop version to that of the mobiles one, the interface is altered so the text is bigger, more readable and the area for ‘tapping’ is enlarged for ease-of-use on the user’s end. Furthermore, multiple elements on the navigation bar are incorporated into drop-down menus so the navigation bar is more refined and each heading has a larger space to work with. 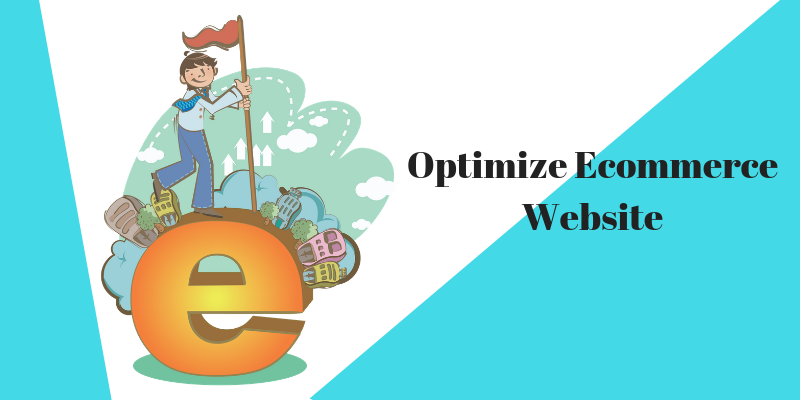 Most webmasters fail to notice this point while creating an Optimize Ecommerce Website. Speed is another important sector where many e-commerce sites end up annoying the user and leaving them to wait a lot longer than they might expect, not understanding that not all users are patient. SearchEngineJournal reports that the optimum benchmark in terms of page load times shouldn’t be longer than 3 seconds as this will increase bounce rates. Thankfully, a lot of services available online allow web pages to reduce their page loading by providing insights and recommendations. One such tool is the free Lighthouse tool from Google which provides a full performance audit and analysis. This tool will diagnose any issues related to page speed. Everything including Input Latency, Speed Index and server load is taken into account and suggestions are communicated forth for improvements. Lastly, any imminent threats of errors and technical issues should be prepared for in advance. When we say that error handling is to be paid attention to, it means that any errors, even if it originates from the user’s end, should be displayed and taken into consideration for a better Optimize Ecommerce Website. Remember, your job is to make the user feels like they’re not completely in the dark, a short description should accompany every error. Moreover, always including an option to prompt them to head to a different section on the web and to check back again on a later day. This is to retain their interest and keep them browsing on your e-commerce platform. In order to bring traffic from various sources thanks to careful representation and incorporation of keywords and related topics, blogs are the number one strategy to employ. Naturally, more inbound traffic will likely result in higher CRO if the website does a good job of convincing the buyers regarding any product. Blogs are also excellent mediums to embed links which in itself are great for link-building campaigns as this will boost the authority of the platform and help it rank higher in organic search results due to a good SEO rating. Deriving sales and successfully having visitors make their way all over to the check-out section takes effort and implementation of certain strategies and principles which primarily involves analyzing user data to make the whole experience more convenient for them. Ultimately building upon the trust and reputation and thus increasing CRO. Additionally, paying attention to other important aspects like optimizing mobile versions of the web, handling errors more cleverly and prioritizing the speed since it plays close to the site functionality, will allow business owners to maximize sales and give the visitors all the reasons to confirm a purchase. Sohail Rupani is a senior SEO Strategist at an Orlando Digital Marketing Company. He specializes in SEO and SEM techniques. He is passionate about technology and loves to analyze the tech industry in his spare time and stay in touch with the latest happenings. He also writes technical articles about SEO and digital marketing. Follow @sohailrupani for more updates.